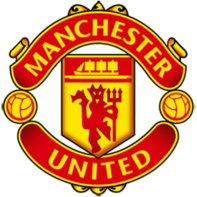 Antonio Valencia, Diogo Dalot, Marcos Rojo, Ander Herrera, Sergio Romero and Nemanja Matić ruled out. Jesse Lingard doubtful. José Izquierdo, Florin Andone and Bruno ruled out. Martín Montoya and James doubtful. 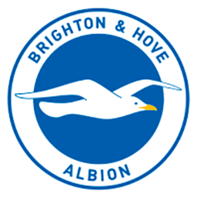 Brighton & Hove Albion (nicknamed The Seagulls and Albion) are a professional football club based in Brighton & Hove. The club was first formed as Brighton & Hove United on 24 June 1901, and the name was quickly changed to Brighton & Hove Albion. The club took the place of a defunct club, Brighton & Hove Rover, in the Southern League In the Southern League they won their only national honour to date, the FA Charity Shield, by defeating Football League Champions Aston Villa in 1910. There had previously been Old Brightonians, representing the area in the FA Cup in the 19th Century. The club initially played at the Hove County Ground, with a few games were also at Goldstone Ground that was used by Hove F.C. From 1902 onwards, Brighton & Hove Albion F.C. and Hove F.C. shared the Gladstone Ground. In 1920, 19 years after the club was formed, they were elected to the Football League's new Third Division. Mismanagement brought Brighton close to relegation from the Football League to the Conference which they narrowly avoided in 1997 and 1998. 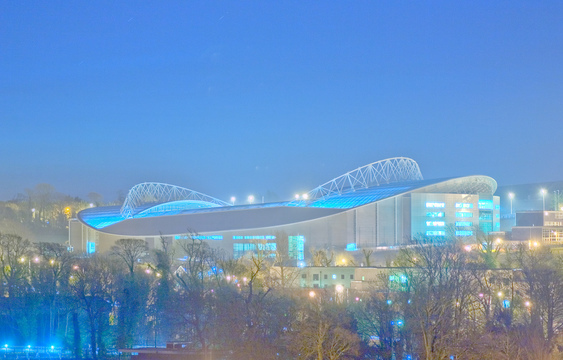 A boardroom takeover saved Brighton from liquidation, and following successive promotions they returned to the second tier of English football in 2002, from then on playing in the second and third tiers of English football until the conclusion of the 2016-17 season, where the club earned promotion to the Premier League for the first time in their history, marking the end of a 34-year absence from the top flight. Bighton's fans consider Crystal Palace to be their biggest rival with matches between them termed the M23 derby, and they play their home games at Falmer Stadium. Smalling and Rashford I think with shots of starting. Maybe Herrera if fit too but I'm guessing the team for this match will be a bit more defensive. We can't lose to these cnuts again. 9 days until our next match so hopefully we'll have more of the World Cup boys up to full fitness by then and can sneak a 1-0. Same again but with Lukaku this Rashford. I hope Lingard is back for this game in place of Mata. Is what I am hoping for. Same as today with Lukaku in for Rashford. Will be a crap and difficult game. Hopefully we grind a 1-0 win. So, Brighton's final home game last season is their first this time round. It will be equally as hard as it was then, and they'll be really up for it. Annoyingly, I'll be at a wedding in Manchester (ironically) so won't be able to get hold of tickets. Wouldn't be surprised if it went a similar way to today's game - though I expect them to start strongly. There'll certainly be periods of the game where we'll need to weather the storm. Lukaku instead of Rashford is the only change i would make. Alexis was bad today, but we need to give him at least 5 games to see where he is at. Smalling or Fellaini has to start to deal with their long balls. I think Young will come in but since Shaw scored it'l be in polace of Darmien instead. I also think Lukaku will start and Fellaini will get the holding role. Wee bit of revenge for last season I hope. 1-0. I can’t see Mourinho dropping Pereira right now. Stop it DMC If this happens, the fans will riot. Pereira is nailed at least until Matic is back. Lukaku should make some difference from today. 1-0 Utd. Then defend defend defend to hang on. If he performs dunno why Matic should get straight in, he probably will for feck all of reason but yea, happened to others, guess it will happen to him too. Last seasons defeat is still fresh in the mind. Time to avenge it. Next game I would try a 352 formation. Bit if we are going to continue playing 433, then I would play a front of 3 with Martial, Lukaku and Sanchez. Smalling will be in to deal with the aerial ball. Darmian is absolute turd so Young will take his place. Lingard for Mata, who's pretty useless away from home. I'd drop the front three for Lingard -Lukaku-Martial and either Young/Valencia for Darmian. Good that the game is still 8 days away. Gives time to some of our world cup returning players to get more fitness and the injured guys a chance to recover before the game. Hoping that Young returns to play at RB. Darmian is calamitous. I just think away from home he might well go for the experienced player, not sure how Brighton's aerial threat is as that could be another factor. If we win this we'll be 3 points better off from last year already. Can't lose to these cnuts again. And surely their keeper can't have another worldie. Sneaky feeling he starts Martial over Alexis. It's not a myth, he's horrible in midfield with his lack of technique and mobility, the best use of him is when you can use his ability to win things on his chest to beat the press. Rightly so, Sanchez has no excuse for this shambles yesterday. Young for Darmian and Lukaku for Rashford as a minimum, hopefully Lingard for Mata too. I understand those asking for Martial instead of Sanchez but i'd stick with Alexis. I sincerely hope this isn't the team. Would be a silly decision to bring Fellaini in. Basically the same side except Lukaku in for Rashford, I can see Young coming on for Darmian in the 2nd half. Our road form is crucial so hope for a good win. Expect Darmian to play RB, Young to play LB, Shaw bench. Lukaku to play CF, Sanchez LW & Mata or Lingard RW. Honestly wouldn't be surprised to see Fellaini in for Pereira either with it being an away game. The picture of the Falmer Stadium in the OP looks fantastic to be fair. Hoping for much more promising performances vs them this season than last. Hopefully can carry our positive approach from last night into this game with Sanchez improving. I get the feeling that if Alexis gets one or two goals under his belt early, he may relax into our games a bit more. Still a great work ethic on him and good cover for our right back. One thing we definitely need to keep an eye out for is our vulnerability down our right side defensively. Far too many times during the Leicester game did Demari Gray get the better of Darmian. It wasn't as bad on the left, as Shaw is a bit more comfortable and he had Alexis to help with tracking back. Unfortunately Mata can't do the same, so I wouldn't be surprised to see Lingard in for Mata if he's available. With that being said, I think our good start will continue and hoping for a clean sheet. Redcafe is full of experts. I'd leave it. I agree with everything except for that in bold. Even Mourinho won't be as stupid as to bench our two best performers he showered with superlatives.